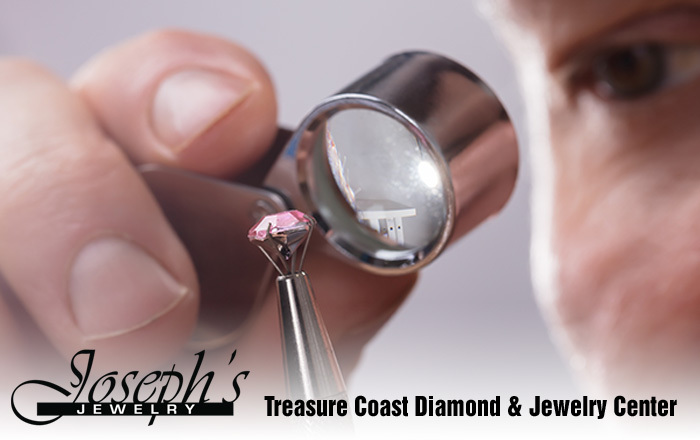 At Joseph’s we carry the Citizen Eco-Drive & The Citizen Signature Collection. 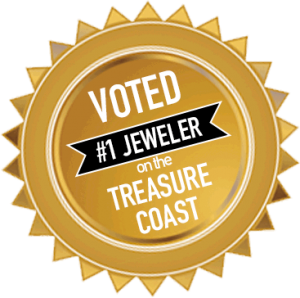 We are proud to be part of the largest recognized watch manufacturer worldwide. 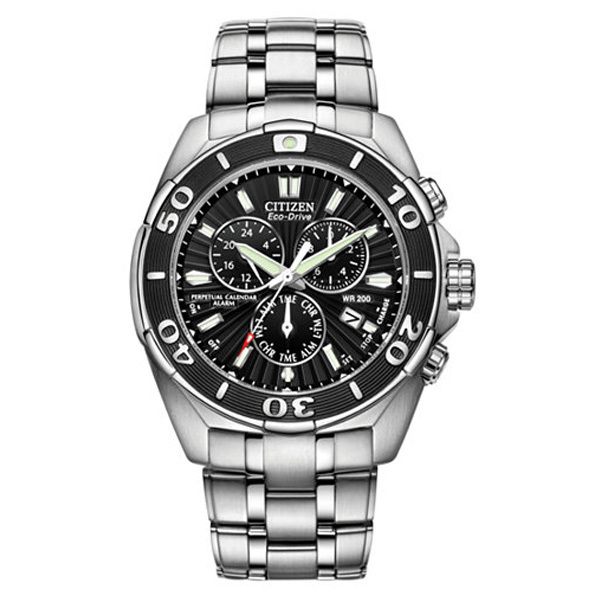 Citizen is recognized as a worldwide leader in advanced technology. 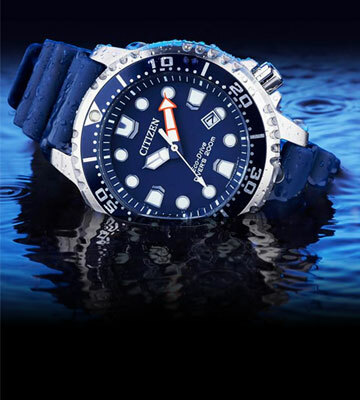 From the world’s slimmest LCD watch, to the world’s first professional dive watch with an electronic depth sensor, to the first voice recognition watch, Citizen’s record of world’s first is unmatched. 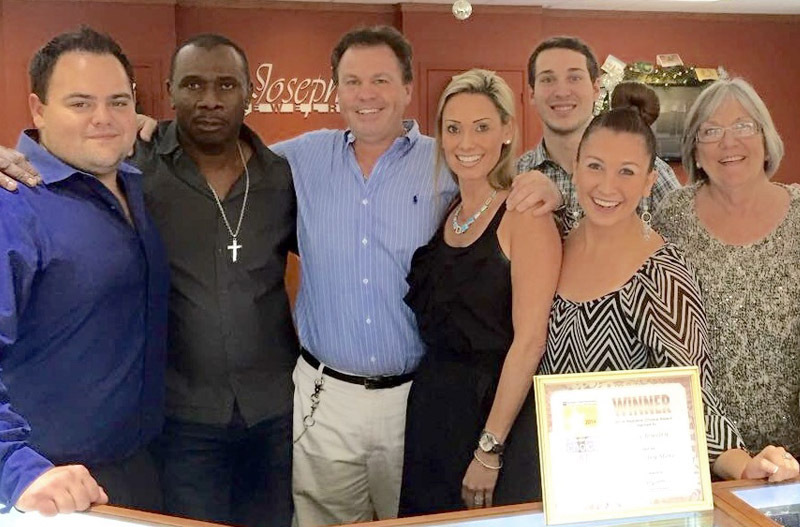 The motivation behind each of these “first” is the goal to make the watch experience better for each and every customer. 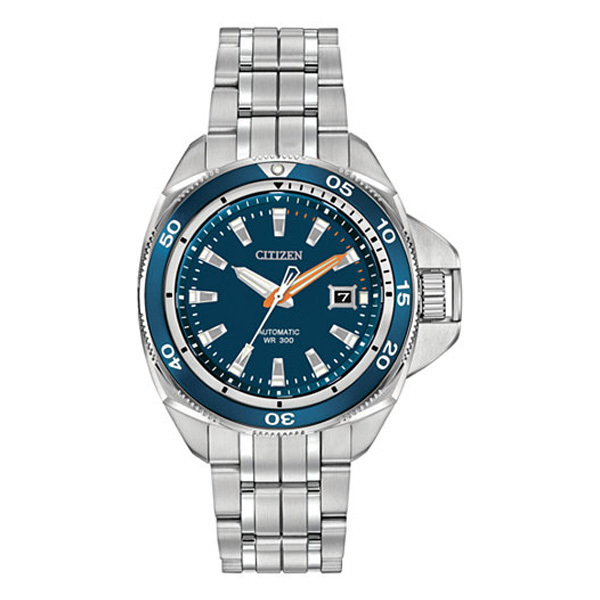 Citizen Eco-Drive & The Citizen Signature Collection. Essential functions include a perpetual calendar, 1/20 second chrono measuring up to 60 minutes, 12/24 hour time, dual time, alarm, date, one-way rotating bezel, 43mm screw-back case, 200M WR and dual-coated anti-reflective sapphire crystal. Stainless steel with black bezel and dial provide a slightly sporty take on this watch. 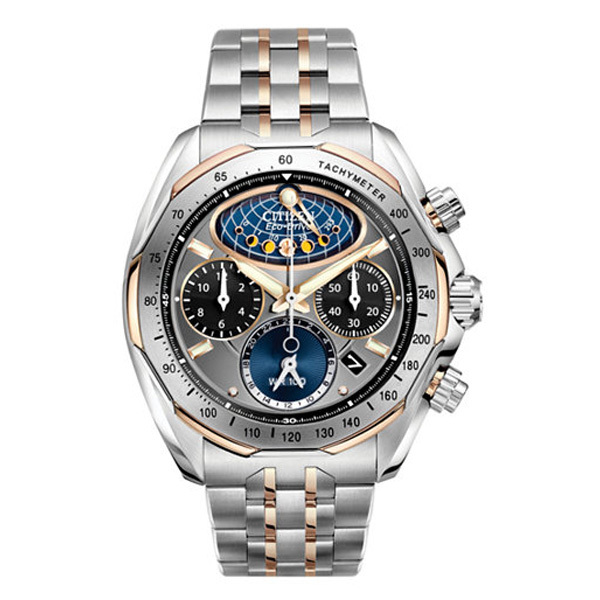 Essential features include a moon phase indicator, 1/5 second chronograph measuring up to 12 hours, date indicator, luminous hands, 44 mm case, 100M WR and dual coated anti-reflective sapphire crystal. 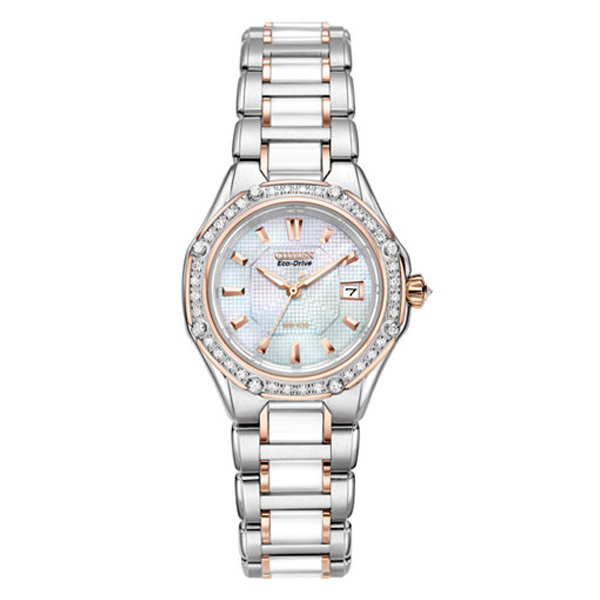 Shown in stainless steel with rose gold tone accents, this timepiece is a wonder to behold. Consideration to detail articulates the rich character of the Grand Classic Calibre 9040 Automatic from the Citizen Signature Collection. Essential features include an exclusively designed and decorated rotor with 24 jewels viewed through an exhibition window on the dial and open view case back. 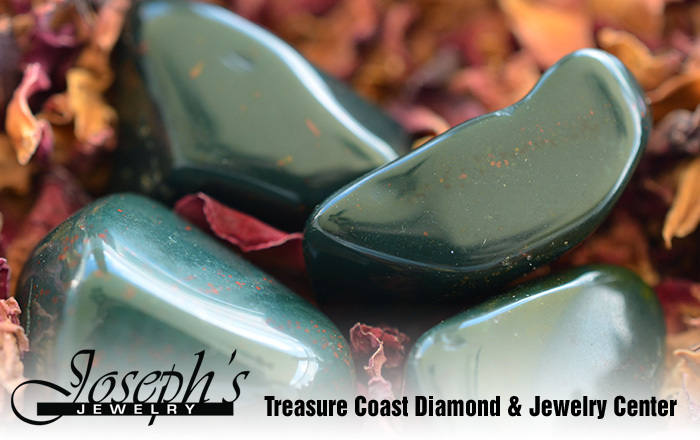 The highlight of the case design is a coin edge finishing along the bezel. 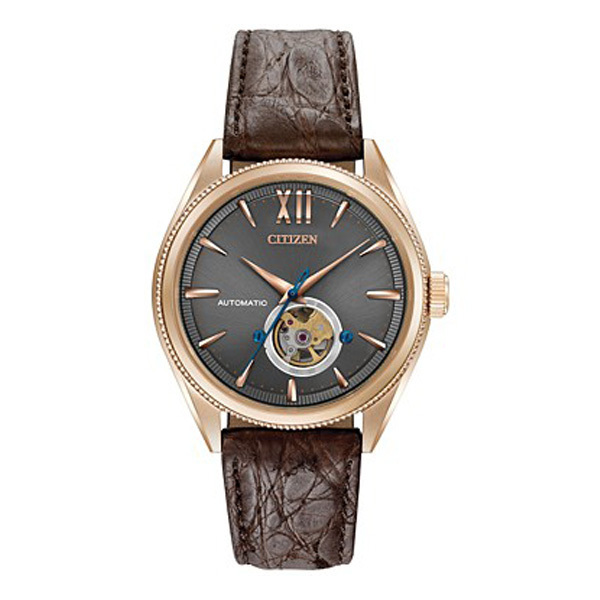 This timepiece with rose gold-tone stainless steel case, dark brown crocodile strap with charcoal gray dial features a 42-hour power reserve and dual-coated anti-reflective sapphire crystal. Rich character and attention to detail helps magnify the CITIZEN® Grand Touring Sport collection. Dual-coated anti-reflective sapphire crystal showcases the design details on the dial while the sapphire crystal exhibition caseback allows the wearer to admire the beauty of the engraved movement. In a stainless steel case and bracelet with blue dial. 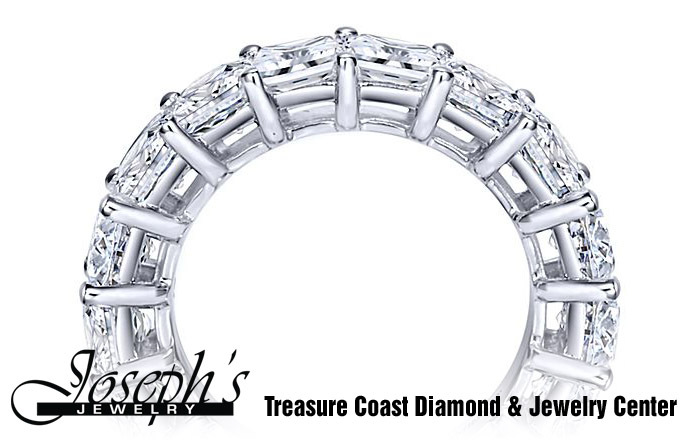 41 sparkling diamonds enhance the case and crown of this exquisite design. Crafted in stainless steel with two-tone rose gold tone and white ceramic accents, Octavia features a textured mother-of-pearl dial, luminous hour & minute hands, second hand & date beneath dual-coated anti-reflective sapphire crystal; with foldover clasp with push button on bracelet. 41 sparkling diamonds enhance the case and crown of this exquisite Octavia Ceramic watch from the Citizen® Signature Collection. 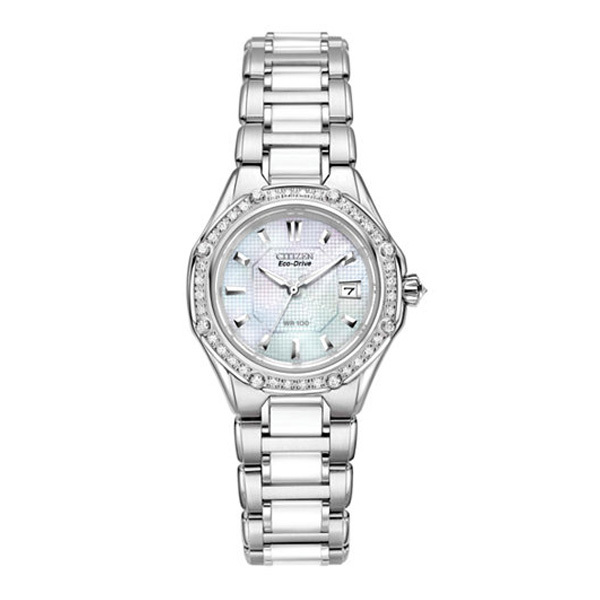 Crafted in stainless steel with white ceramic accents, this ladies’ watch also features a mother-of-pearl dial beneath a dual-coated anti-reflective sapphire crystal, with a bracelet sporting a foldover clasp with push button. Octavia Ceramic features Citizen Eco-Drive technology which means that it is fueled by light, any light, so it never needs a battery. Majestic in its name, the Citizen Signature Versailles is just that, with brilliant shining diamonds on the inner ring, bezel and crown. Featured here in stainless steel with a bright white dial and dual-coated anti-reflective sapphire crystal. 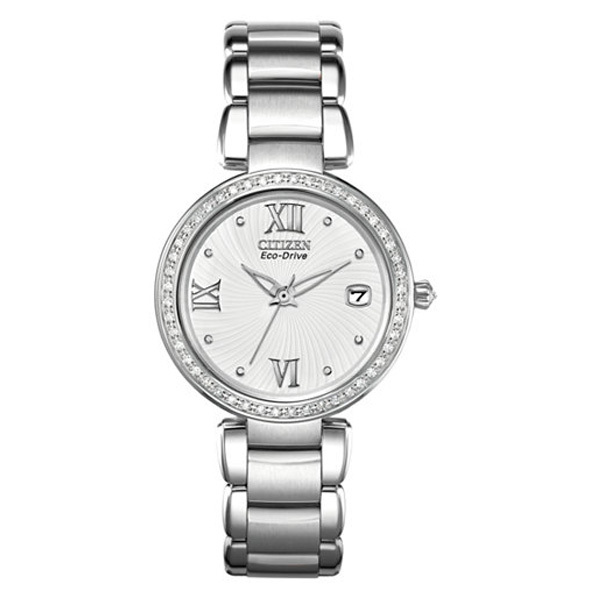 This Citizen timepiece flaunts a polished steel design with the addition of sparkling diamonds. 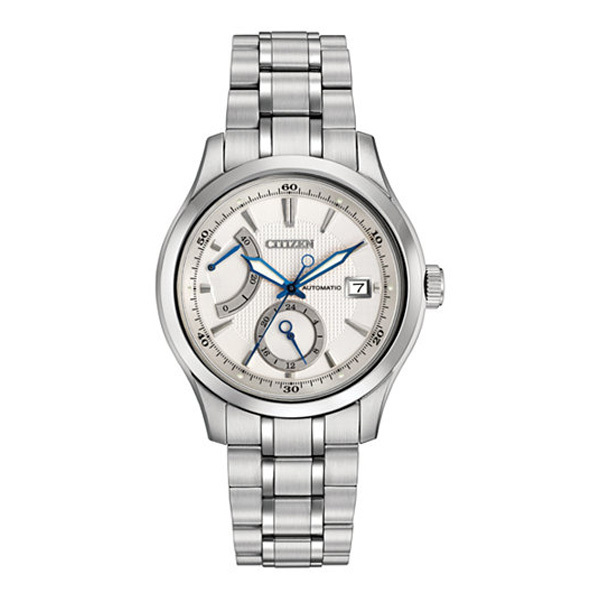 Built with Eco-Drive, harnessing both natural and artificial light, never needing a battery. 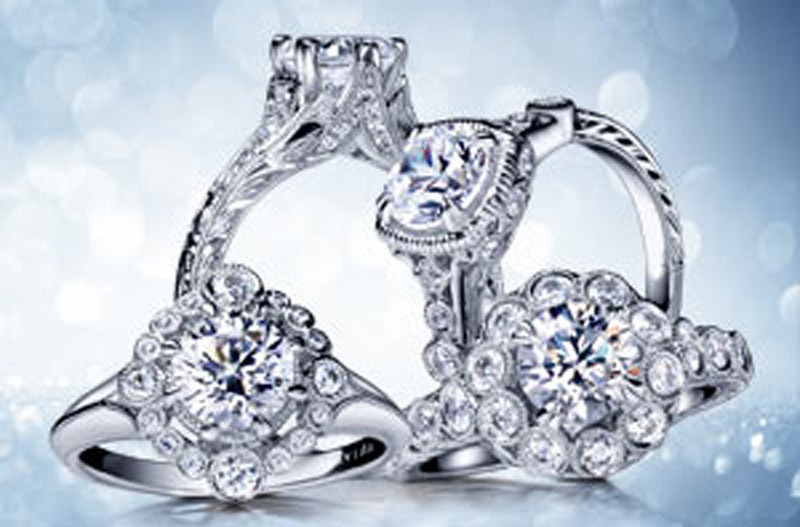 Feminine charm with attention to detail . 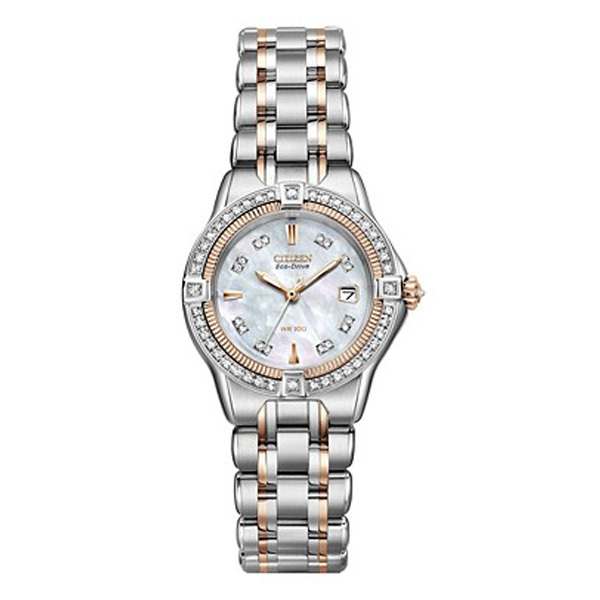 The Quattro Diamond features 61 diamonds encircling the stainless steel and rose gold tone case. 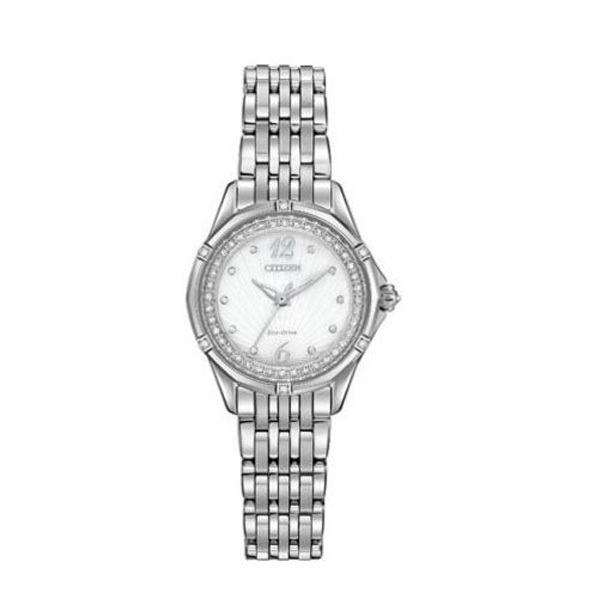 Diamonds mark the hours on the mother of pearl dial and accent the crown of this beautifully appointed timepiece.